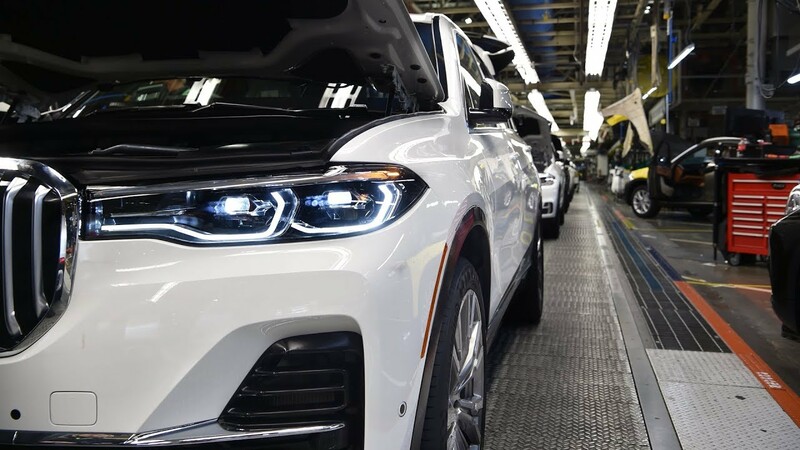 Although the BMW X7 will not be presented until the end of 2018, already the first pre-production models of the big SUV are already running off the production line of the BMW Spartanburg plant in the USA. The Spartanburg plant (USA) is already producing the first pre-series models of the BMW X7. First official photos, but also the X7 iPerformance Concept anticipate many of the design gimmicks of the later production model (G07). 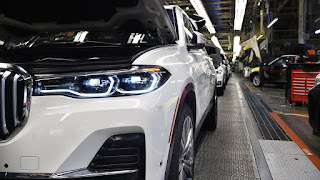 Although the BMW X7 will not be presented until the end of 2018, already the first pre-production models of the big SUV are already running off the production line of the BMW Spartanburg plant in the USA. The development department needs the pre-production vehicles, which are still camouflaged in the factory, for testing purposes under harsh conditions, for homologation and of course for the approvals of the model. The 7-X builds on the CLAR platform and therefore offers enough space for a third row of seats. But variant with four individual seats is planned. Latest in this configuration, the big SUV rises to the real 7 Series alternative. Of course, the sovereign character of the largest X model also includes befitting engines, in addition to turbocharged inline six-cylinder as entry and the proven V8 Biturbo and the V12 engine of the M760Li in question. Just to be able to convince the extreme image-conscious clientele of the special position of the BMW X7 (2018), a twelve-cylinder should be just the right tool. However, the study X7 iPerformance Concept shows the SUV as an economical plug-in hybrids, the purely computational packs about 50 kilometers electric range and an average consumption of less than four liters. Despite its environmentally conscious hybrid powertrain, the study of the BMW X7 (2018) has a decidedly powerful appearance. The viewer gets a fairly precise idea of ? ?what sales chief Ian Robertson means when he talks about redefining the term "luxury" at BMW. Fears that off-road vehicles could mutate into a copy of the largest BMW SUV so far, can be shelved. 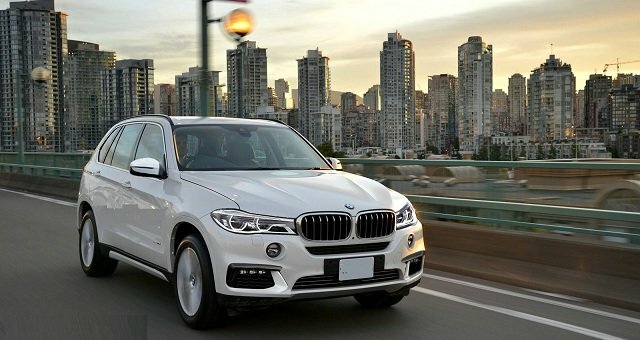 Where in the X5 the emphasis is still sport and not on utility vehicle and the 7 in his tuxedo almost discreet occurs, the X7 shows plenty of wholeness and glamor. Not only because of its sheer size, the new BMW stands out, also by its design, which belongs to the category "padding, not mess". The front is dominated by a huge kidney grill flanked by slit-like LED headlights and vertical air intakes, underscoring the size of the SUV. The rear takes up the design of the front again, also shows vertical air vents and a continuous LED strip light. The i-logo on the gas cap and the eDrive lettering on the C-pillar indicate the hybrid drive of the BMW X7 iPerformance Concept, about whose performance data as well as the BMW X7 (2018) nothing is known. Inside, on the other hand, the study of the BMW X7 (2018) looks almost filigree, almost light: the six single seats in three rows are slim lounge chairs that literally float in a breezy atmosphere, the steering wheel has a delicate wreath and the cockpit feels comfortable far back - no wonder, if you control the vast majority of functions with the large touchscreens or by voice. That Noblesse and mud can be quite unite, Edel-Offroader from England have long been proven. While most customers will rarely move their off-road vehicles off paved roads, all-wheel drive xDrive and presentable off-road features are included in this class and the BMW X7 (2018). After all, it is important to preserve the image of the unstoppable all-rounder.